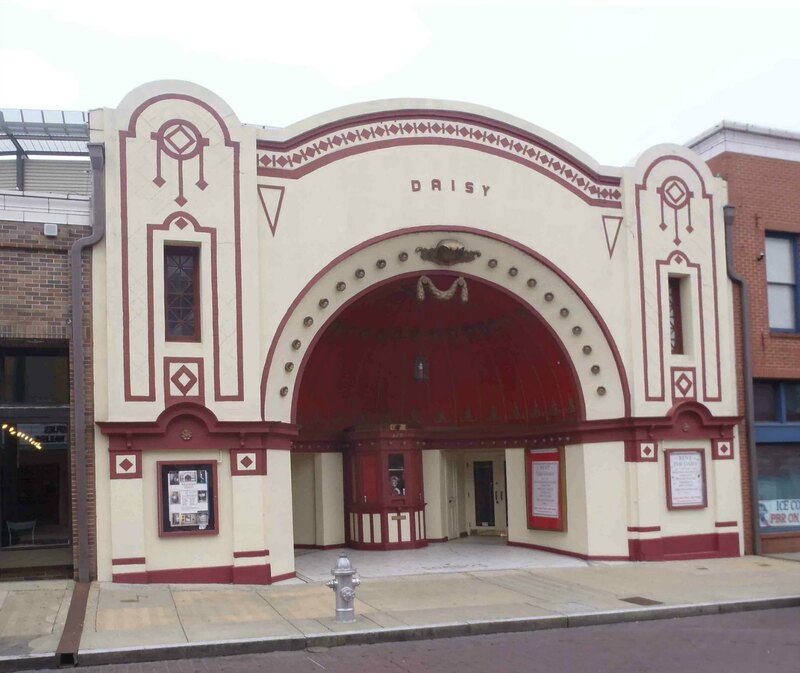 The Daisy Theater at 329 Beale Street, Memphis, Tennessee opened in 1913 as the New Daisy Theater. 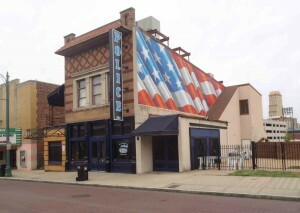 In 1914 it was listed in the Memphis City Directory as the Daisy #2 at 327 Beale Street. After 1915 it was listed simply as, “The Daisy.” At present, we do not know where the first Daisy Theater was located. The Daisy Theater had a seating capacity of 600. The Daisy Theatre’s design is somewhat unusual for a theater. Theater patrons typically enter a theater into seating space facing the stage. 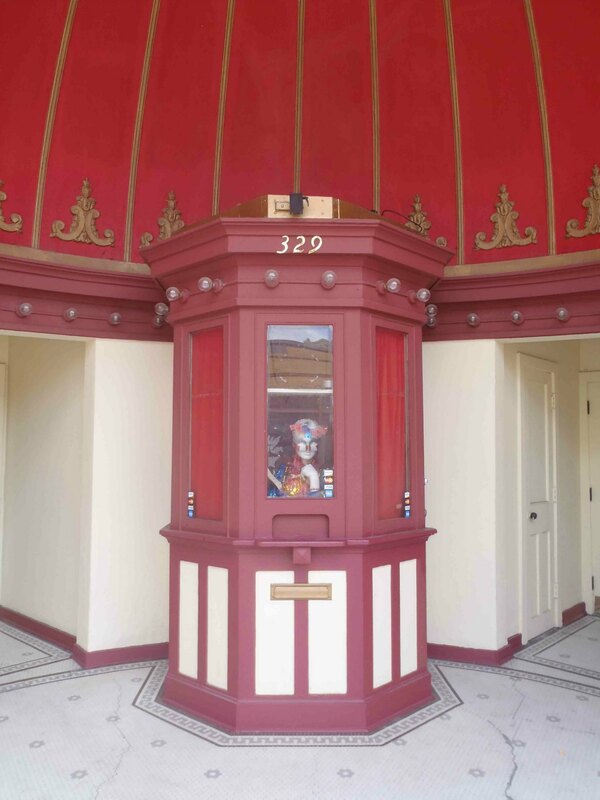 The Daisy is “backwards.” Patrons enter one of two entrance doors flanking the box office and come into the theater space facing the audience, rather than facing the stage. The stage is located directly behind the box office. There is floor seating with a balcony, roughly “U” shaped, above. 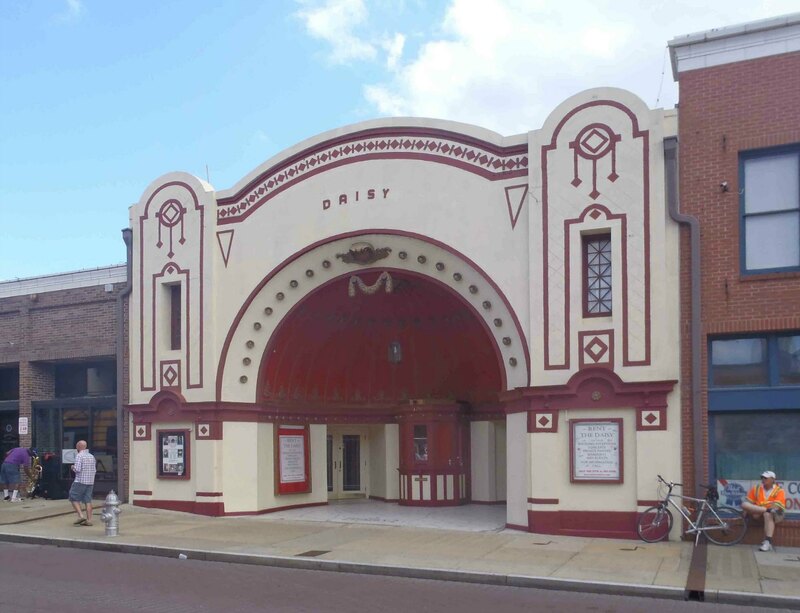 Despite its relatively small stage and seating capacity, the Daisy became a leading venue on “the Chitlin’ Circuit” between the 1930 and the 1960s. It was also used as a movie theater. In 1929 Bessie Smith and W.C. Handy appeared together at the Daisy to promote the opening night screening of her movie St. Louis Blues, which starred Bessie Smith and featured her performing W.C. Handy’s St. Louis Blues– (note: this is not to be confused with the 1958 Paramount Studios movie St. Louis Blues about the life of W.C. Handy, starring Nat King Cole and Eartha Kitt) – one of the early “talkies” and Bessie Smith’s only movie appearance. Other interesting architectural features of the Daisy Theater include the semi-dome entrance and the original facade, which appears largely intact. The original box office and the original mosiac tiles (see photos below) on the entrance floor appear to be in good condition. The Daisy Theater is currently being rented out for banquets, meetings etc. Here’s a link to the Daisy Theater website. In the 1930s, the New Daisy Theater opened directly across Beale Street from the Daisy Theater. 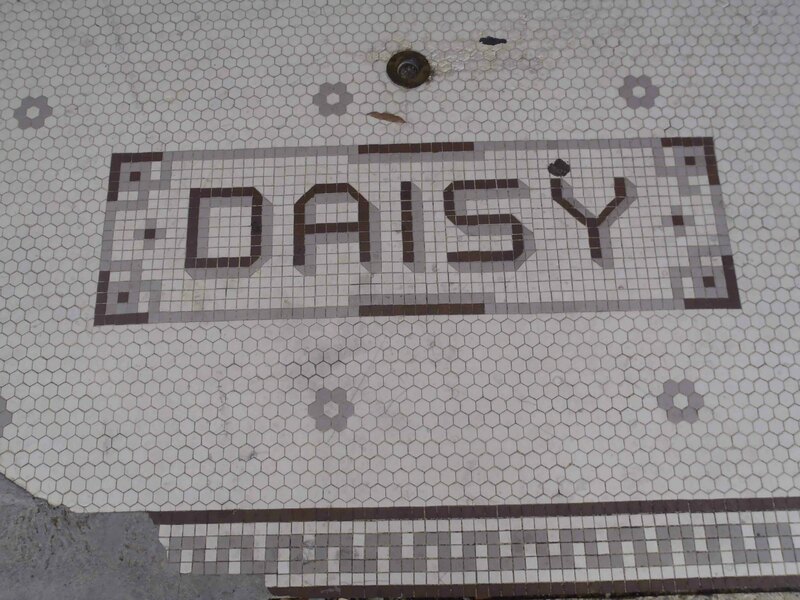 The original mosaic tiles in the Daisy Theater’s entrance flooring (see photo above) appear to be in good condition. This style of mosiac tile flooring with the business name at the entrance is also still in place at the King’s Palace Cafe at 162 Beale Street, three blocks west of the Daisy Theatre. You should check out the Tennessee Historical Commission marker for Hooks Brothers Photography in front of the King’s Palace Cafe. Among other historical connections, Hooks Brothers Photography took the only known studio portrait of Robert Johnson. 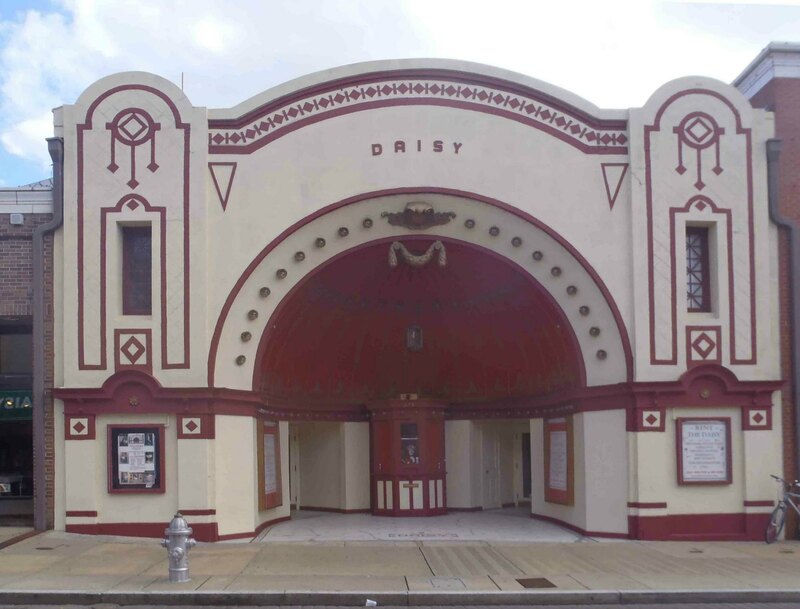 The Daisy Theatre was a venue on the “Chitlin’ Circuit” from the 1930’s until the 1960’s. 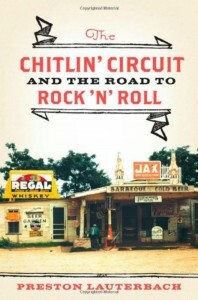 For more information on the Chitlin’ Circuit, one of our Recommended Books is The Chitlin’ Circuit and the Road To Rock N’ Roll by Preston Lauterbach. This is the best book we have read about the history of the Chitlin’ Circuit. If you’re interested in the history of Beale Street theatres, you might also want to check out the Tennessee Historical Commission markers for Rufus Thomas Jr. and Nat D. Williams, which are across Beale Street at the site of the former Palace Theatre (now demolished). If you’re at the Daisy Theatre, you should also check out the Memphis Police Station on the opposite side of the street. In the 1920’s and 1930’s it was the Monarch Club, a raucous nightspot that was the inspiration for Robert Wilkin’s song Old Jim Canan’s, recorded in 1935.